Jan. 23, 2014 1:00 p.m.
At approximately, 1:30 am, Sunday morning, RCMP in Wetaskiwin were dispatched to a single vehicle rollover on Highway 2A, north of Millet, AB. The vehicle, which was traveling southbound, apparently lost control and rolled in the ditch on the east side of the road. Two of the six occupants, of the vehicle, were pronounced deceased at the scene and two occupants were transported via STARS air ambulance in critical condition. The remaining occupants were taken to hospital with serious but non-life threatening injuries. Alcohol is believed to be a factor in this collision. The RCMP continue to investigate. The Wetaskiwin RCMP has arrested and charged 22 year old Cree Roan OMEASOO, of Maskwacis, AB, in relation to a fatal single vehicle rollover that occurred in the early morning hours of October 6th, 2013, north of Millet, AB. • Two counts of Impaired driving causing death, contrary to Section 255 (3) of the Criminal Code. • Two counts of Impaired driving causing bodily harm, contrary to Section 255 (2) of the Criminal Code. • Two counts of Dangerous driving causing death, contrary to Section 249 (4) of the CriminalCode. • Three counts of Dangerous driving causing bodily harm, contrary to Section 249 (3) of the Criminal Code. • Two counts of Impaired operation over .80 mg% of a motor vehicle causing death, contrary to Section 255 (3.1) of the Criminal Code. • Three counts of Impaired operation over .80 mg% of a motor vehicle causing bodily harm, contrary to Section 255 (2.1) of the Criminal Code. • Two counts of Fail to comply with a blood demand causing death, contrary to Section 255 (3.2) of the Criminal Code. • Three counts of Fail to comply with a blood demand causing bodily harm. contrary to Section 255 (2.2) of the Criminal Code. OMEASOO was brought before a Justice of the Peace and remains in custody. 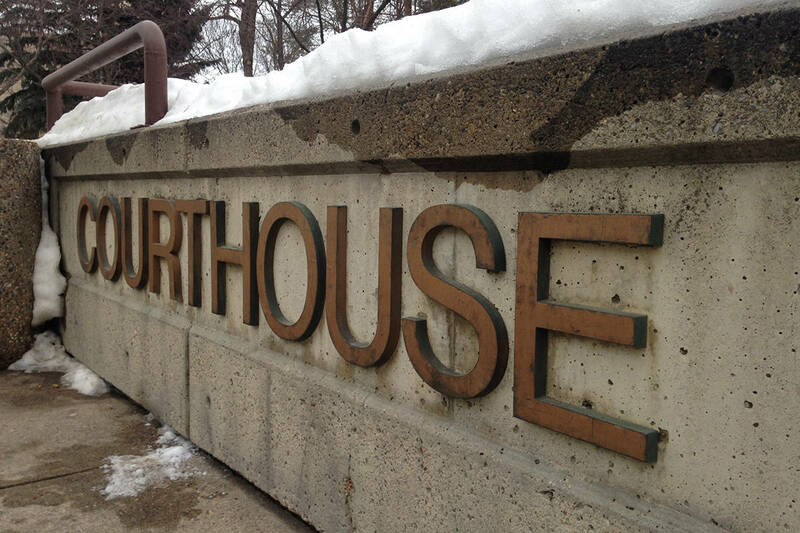 She was scheduled to make her first court appearance on January 16th, 2014 at 9:30 am in Wetaskiwin, AB. Leduc RCMP Requesting Public Assistance in locating a Suspect at Large. Leduc RCMP are looking for the public's assistance in locating 26 year old David Joseph HAUSER. HAUSER was last seen on January 7th, 2014 at 8:37 a.m., when he was involved in an altercation with another male and female. HAUSER was on conditions from a previous altercation and now has a warrant issued for his arrest. RCMP believe that HAUSER may still be in the Leduc / Edmonton area and would like the public’s help in locating him. All attempts to locate HAUSER have been unsuccessful at this time. HAUSER is described as Caucasian, 180cm tall, about 105kg, with brown hair and brown eyes. HAUSER has a small scar on his left index finger and a family name tattooed on his chest. HAUSER is described as having a light to fair complexion but no other noticeable characteristics. Anyone having information about the whereabouts of David Joseph HAUSER, Leduc RCMP ask that you do not make contact with him as he may be confrontational. Please contact the Leduc RCMP at: (780) 980-7200, (780) 980-7231, (780) 886-0672 or Crime stoppers at: 1 800-222-8477. On January 7th, 2014, at approximately 8:49 p.m., the Leduc RCMP received a complaint of an armed robbery on 20 Avenue at Anderson’s Liquor Store in Leduc County Alberta. Leduc Rural RCMP, assisted by Leduc City RCMP, Beaumont RCMP, Leduc Integrated Traffic Services and Edmonton RCMP police Dog Services immediately responded to the call but were unable to locate the suspect who fled the store on foot. Witnesses and surveillance video footage helped RCMP in getting a better description of the suspect. The suspect was described as: 5’ 8” to 6’ tall, dark coloured skin, wearing a black puffy winter jacket – possibly down filled, a grey hoodie, dark pants and a light coloured mask with dark eyes and red on the forehead. The man entered the store brandishing a knife and demanded the cash from the till. The man was able to get away with an undisclosed amount of cash. At this time, the RCMP is still investigating this incident and would like to ask the public to notify them if you have information about this robbery. RCMP confirmed that no one was injured during this incident. Please contact your local RCMP Detachment at 780-980-7200, or if you want to remain anonymous, you can contact Crime Stoppers by phone at 1.800.222.8477 (TIPS), by internet at www.tipsubmit.com, or by SMS [www.crimestoppers.ab.ca]. You do not have to reveal your identity to Crime Stoppers, and if you provide information to Crime Stoppers that leads to an arrest(s), the recovery of stolen property, and/or a seizure of illicit drugs, you may be eligible for a cash reward.